Tissot celebrates in 2013, its 160th Anniversary with a piece that reflects its love for new horizons with the Tissot Heritage Navigator, first created to celebrate Tissot’s centenary in 1953. From the very beginning of the Tissot story, which started in Le Locle, Switzerland, in 1853, Tissot was destined to be more than just a local creation. It was in 1858, already, that Tissot started exploring with trips to Russia and further went on to the United States and Latin America. The company just kept on broadening its horizons from there. That fact is apparent today. Still at home in Le Locle, Tissot is now represented across five continents, in 160 countries, and is the largest traditional Swiss watch brand based on volume, which is what it celebrates for its 160years of existence. The Tissot Heritage Navigator with its 24 time zones indicated by the Capitals of their countries on the dial perfectly illustrates that travelling spirit with an everlasting classic look. The Tissot Heritage Navigator has that vintage class as well as the modern business man’s tool. This timepiece provides the ultimate automatic chronometer precision, officially certified by COSC (Contrôle official Suisse des Chronomètres). Thanks to its time zones, you will be right on time no matter where you are around the globe. You will even be able to take into consideration the time differences when organising important conference calls with people all over the world. 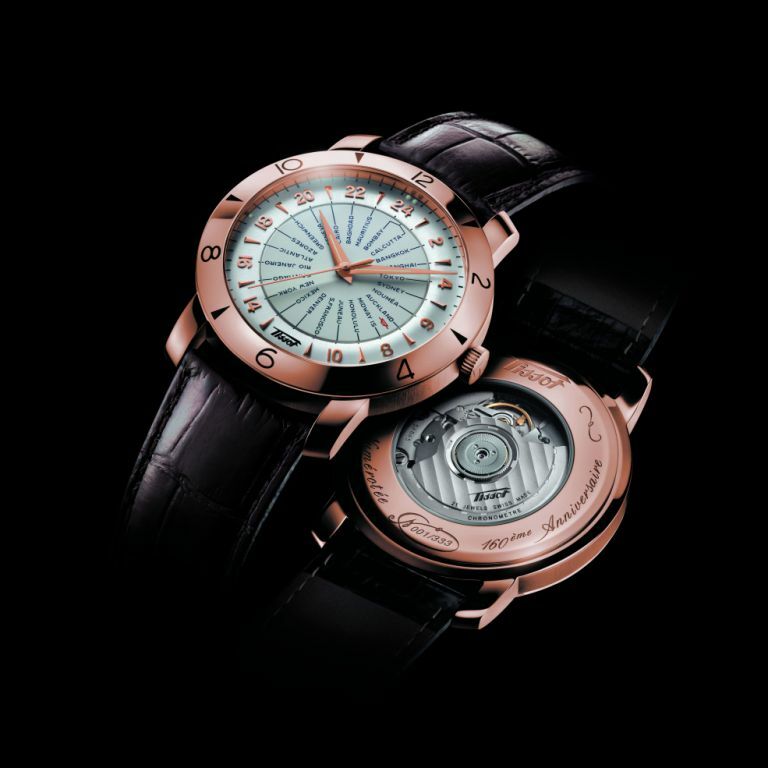 Once the watch is set to a chosen country, that time zone will be indicated by the numbers on the bezel. To see the time of any of the other 23 countries, simply take a look at the time indicated by the minute track on the dial in front of its Capital. This watch is the perfect illustration of what Tissot stands for with its essence of tradition and that touch of innovation. The company has always aimed to provide its clients with indispensable tools of precision, and after 160 years, this watch shows that it is still the case today.